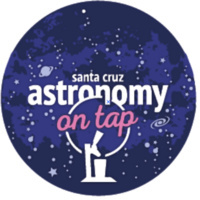 At this month’s Astronomy on Tap we’ll be spanning the distance scale of planets! Come to hear UCSC PhD candidate Rachel Maxwell speak about our nearest space-neighbor, the Moon! She’ll tell us why it’s important to understand magnetic fields around planets and what we can learn from studying the Moon’s lack of global magnetic field. We’ll then move away from our nearest neighbors and hear from UCSC PhD candidate Zack Briesemeister who develops technology to directly image planets outside our Solar System.